Teachers and Sponsors from schools in West Palm Beach have been scheduling their class tours to Washington, D.C. in the winter months for a while. Although the weather is colder than spring, the upside is less congestion in the nation’s capital. Tom Doyle represented Educational Tours on a trip last week with a class from West Palm Beach Meadow Park Elementary School. The group of five teacher/sponsors and 30+ safety patrol students bundled up as they enjoyed the sights. 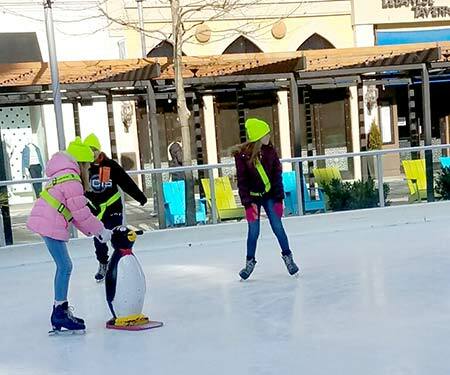 It was a full itinerary that included many of the most popular memorials and attractions, plus rare winter experiences for South Florida kids like ice skating. Doyle recommends considering the slower winter season for any teachers looking for a less hectic class trip to Washington, D.C. Contact Educational Tours to learn more about student tours to Washington, D.C.